In the years that I’ve been using Adobe Illustrator, one of the biggest pet peeves of mine has been the Find Font dialogue box. 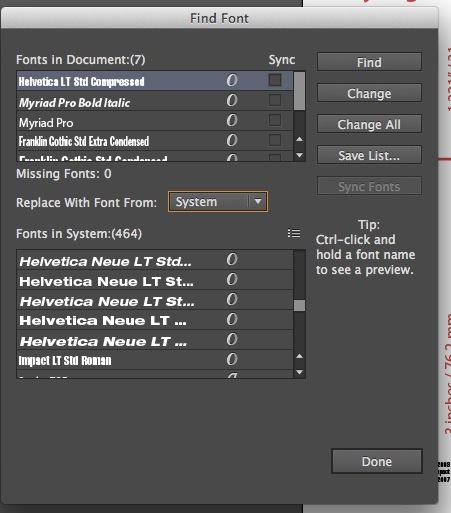 This box comes up when you are usually trying to replace a font you don’t have on your system that the opened file is requesting, with a font file that you DO have. Over the years Adobe has worked on it and improved it, but right now thought it’s particularly troublesome when you have really long font names that are too long to be shown in the tiny box window. In the image below you can see what I mean. The font Helvetica Neue LT family has lots of fonts. Here in the box you can see that FIVE of them are different but you can’t tell which one EXACTLY is the one you need. Can’t determine which Helvetica Neue LT font you need! 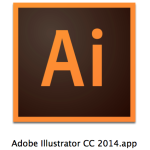 My hope is that with this post and submitted link to Adobe, that in the next version of Illustrator they make this box user expandable. This is usually done with the mouse in the bottom right corner clicking and dragging outward, expanding the box and allowing more hidden content to then be shown. Feel free to link to this article for clarification in your submission.